The National Diabetes Institute (NADI) is established to provide a dedicated and comprehensive service for diabetics, to prevent and control diabetes and its complications. 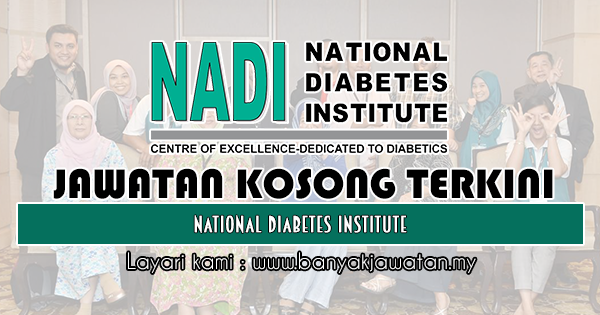 NADI is a non-profit organisation managed by a Board of Trustees comprising representatives from the Malaysian Endocrine and Metabolic Society (MEMS), Malaysian Diabetes Association (PDM), Ministry of Health (MOH), Elected and Founding members. 0 Response to "Jawatan Kosong di National Diabetes Institute - 9 Mac 2019"